Joao Mario has called his parent club Internazionale 'part of my past' despite only being out on loan at ​West Ham. Inter bought the Portuguese midfielder following his triumph at the European Championships in 2016. However, the 25-year-old struggled to fit in at the Serie A side, before his move to east London in January. Although the midfielder is only on loan at West Ham, he has clearly decided that his time at Inter is over. 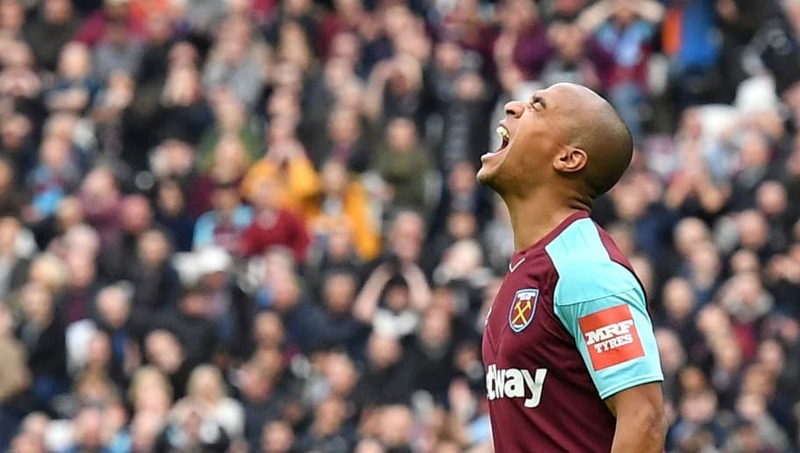 Reports claim that the Hammers have a €40m option to make his move permanent at the end of the season, while the player himself seems determined to move on from Italy. “I’m in a new league and I’m trying to adapt quickly," the Portuguese international told reporters (via Football Italia). Despite featuring in every fixture for the London side since his arrival, the midfielder's future remains somewhat ​uncertain. Inter are reportedly keen to sell the 25-year-old in the summer, while one ​report suggests Roma may be his next port of call, with a swap deal involving Kevin Strootman in the works.